When I first saw this cover–I was sold immediately. There wasn’t a part of the artwork that didn’t intrigue me. 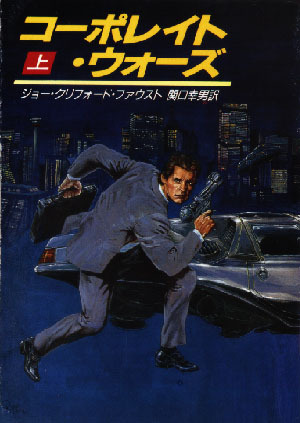 It is such an alluring cover that not only am I overlooking the fact that this book is part one of a trilogy that I don’t own the rest of, but I am seriously considering trying to contact the artist. After deciding that this was the next book for Sci-Fi Undercover, I braced myself and read the back cover sales pitch and . . . was pretty pleased by what I found. Impoverished and unlucky cargo-hauler captain goes against what sounds like the Chinese mafia? He teams up with a group of mercenaries, reminding me of one of my favorite novels The Warriors Apprentice (of the Vorkasigan Saga)? No regrets about starting this book. 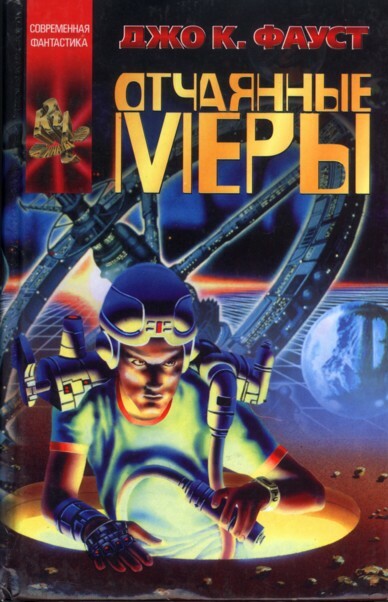 I wonder if the same artist did this Russian cover? Joe Clifford Faust has published eight novels over a career that began in the mid-80s. According to available information, he is still writing and trying to make his out-of-print novels available electronically. What I found most interesting about his website during my brief exploration was his strong Christian beliefs. It appears that Faust keeps his writing and his faith separate, a somewhat rare trait among prominent Christian authors. Check back later to read what I thought of the novel and if you see a copy–pick one up and read it with me! Check out Faust’s list of novels and their incredible foreign covers. All I know is that I would pay real money for this absolutely awesome Japanese one.